Fixed section of jetty constructed with permapine poles and timbers, and stained to enhance colour and preserve timber. Floating pontoon supplied by owners of property. 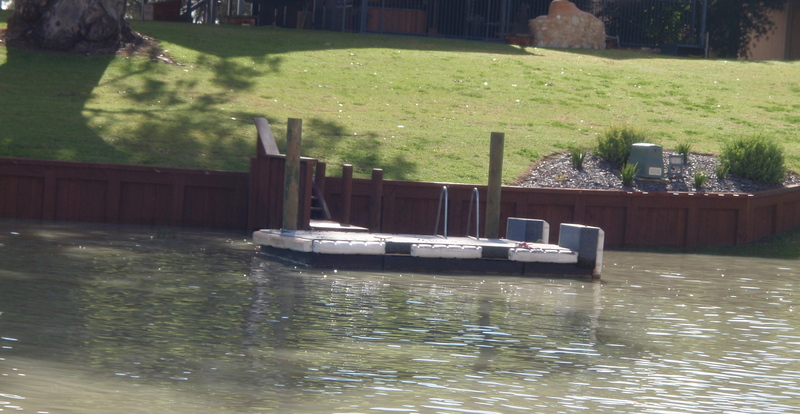 Jetty and retaining wall completed and water levels back to normal after the drought and low river levels.